When Jessica Haggett first created The Litas, she had no idea what an impact it would have within the women’s motorcycle community. 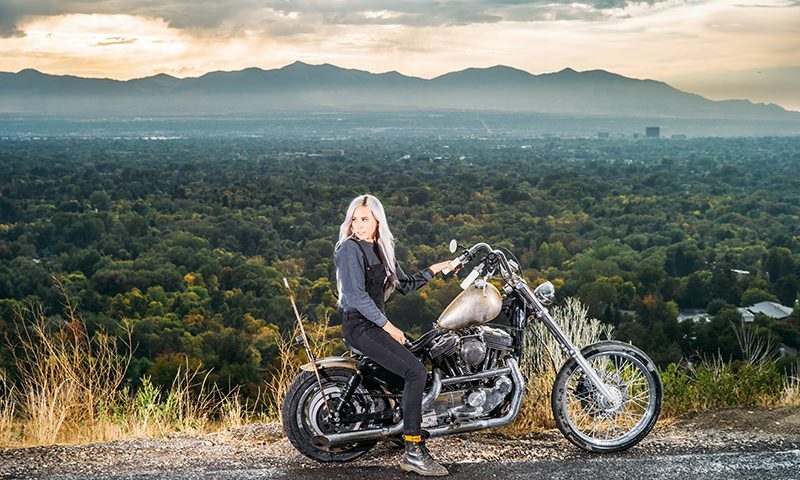 Originally a play on the word “leaders,” Haggett has become just that: a leader—both in her fearless mission to inspire women to ride motorcycles and as proof that you can turn a hobby into a career. At the time of Jessica’s first interview with SLUG, the group comprised 22 women and had just organized their first Sunday Mass ride with Salt City Builds. 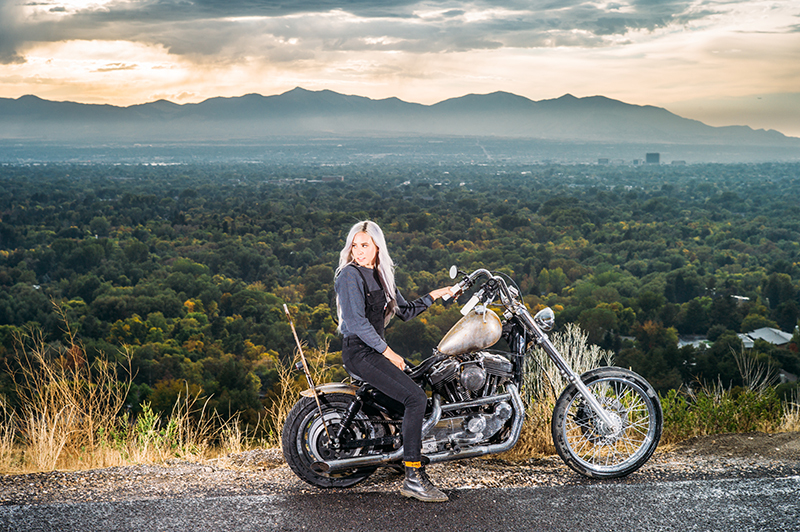 Haggett says, “It’s funny to think back at our first interview—why were you even interviewing me?” Since then, The Litas have taken off and have nailed a notable one-year sponsorship with Indian Motorcycles, garnering The Litas more attention within the motorcycle community. Even before the sponsorship, The Litas continued to grow, and they now span the globe to include chapters from Argentina to the Netherlands to South Africa. Locally, Haggett says that she is still combatting stereotypes and criticism within the community, but that she has learned a lot about herself in how she battles negativity toward The Litas. “I’ve had to learn to ignore it, because more people get happiness from what I’m doing than are mad about it,” she says. “All of these women now have friends to ride with and an easy community to be a part of.” When reflecting on the past year, Haggett is grateful for the amazing opportunities that The Litas have opened up. Haggett says she, personally, has a lot to be proud of: “I’ve learned so much by just doing it,” she says. “I’ve pushed myself in ways I’ve never pushed myself before. If I have to get something done, I have to learn how to do it.” Her biggest motivator for pursuing The Litas full-time remains: to inspire women to be brave and do something hard. “It doesn’t have to be motorcycles,” Haggett says. Despite the challenges, the heart of it all is Haggett’s love of two wheels. “Oh my god, The Dream Roll in August—that’s the farthest I’ve ever ridden,” she says. “We rode to Portland and then to Mt. Adams. 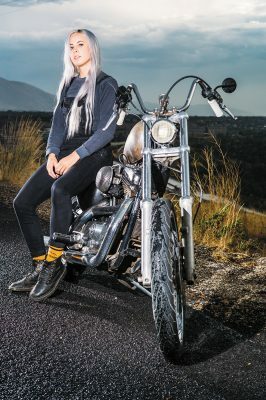 My knees felt like they were going to explode out of my pants.” The best part of hitting the open road was the opportunity to hang out and go camping and swimming with other Litas from around North America. “It was cool meeting girls from other cities and to be given the opportunity to see what I’m doing,” she says. Now that she can devote more time to running the group and riding, Haggett is excited to see what lies ahead for The Litas. She hopes to continue to grow The Litas with the same values of inclusiveness and community that she has engrained in the group since the beginning. “I want to stay open to different stuff happening, because that’s how you get excited about the next big thing,” she says. thelitas.co for info on joining a chapter or upcoming rides. If you’re interested in learning how to ride a motorcycle, hop on the Motorcycle Safety Foundation website to find a skills class near you.